Oshkosh, Wisc., July 25, 2016 – Hartzell Propeller’s composite swept tip Trailblazer prop and CubCrafters XCub were made for each other. Hartzell announced today at EAA AirVenture here that CubCrafters had picked the Trailblazer as standard equipment on its newest Flagship the XCub. The unlimited life Hartzell Trailblazer features a field replaceable nickel-cobalt leading edge, ensuring it can withstand demanding backcountry and bush flying. Due to its incredible strength and light weight, the all carbon fiber construction permits Hartzell to optimize blade chord thickness and sweep while achieving maximum strength. CubCrafters XCub, its newest flagship aircraft, received FAA Type Certification this past June and will be on display at the CubCrafters Exhibit 273-274 in the Main Aircraft Display of EAA AirVenture, held July 25-31 at Wittman Regional Airport in Oshkosh, Wisc. In addition, Hartzell Propeller will exhibit a Trailblazer propeller and other composite technology props at Booth 296-297, also in the Main Aircraft Display area. Trailblazer swept-tip propellers maximize performance of numerous aircraft, both certified and amateur built, specifically designed for bush and backcountry flying. The two-blade version is compatible with most Lycoming 360 and 390 series engines, requires no placards or restrictions, and is not RPM limited. CubCrafters is offering the first 20 XCubs in a limited Launch Edition. The Launch Edition has special introductory pricing and includes the Launch Edition paint scheme and branding, as well as a premium Ahtanum leather interior package at no extra charge. XCub is available from CubCrafters Certified Sales Centers. CubCrafters, founded in 1980 by current owner and CEO, Jim Richmond, is located at McAllister Field Airport (YKM) in Yakima, Wash. CubCrafters’ roots are in the 70-year history of classic taildragger aviation, but its products and services are innovative and completely modern. CubCrafters designs and manufactures Part 23 Certified, LSA and Experimental aircraft. The Top Cub, with a useful load of over 1,000 lbs., is the most up-to-date iteration of the historic Super Cub available. The Carbon Cub SS LSA has redefined expectations of “backcountry aircraft” with its light weight, powerful engine, and breathtaking performance. CubCrafters also offers their Carbon Cub in a kit variant, the Carbon Cub EX-2, as well as an E-AB “builder assist” program, Carbon Cub FX Builder Assist. 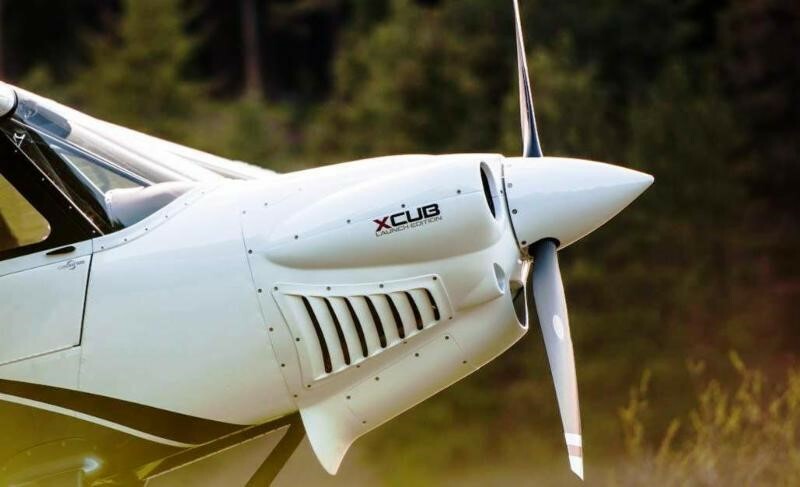 The company’s newest introduction, XCub, substantially expands the mission profile of sport utility aircraft with its higher speed, longer range and larger payload.